A manicure can not only make you feel great, but it can also sharpen your look up simply and easily. Importantly, a good home manicure doesn’t have to cost the earth or take hours to complete. 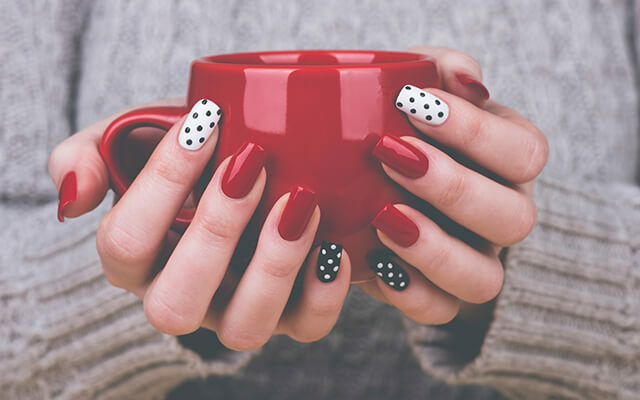 With this in mind, this month we have enlisted Open Colleges student, Julie Golley, to walk you step-by-step through the process of perfecting your nails! First thing’s first, you need to gather the essentials. small bowl for soaking, rinsing, etc. The first step you need to do is to remove any old nail polish with non-acetone polish remover. Using a non-acetone based polish remover will not harm your nails and is very gentle on the skin surrounding your cuticles. Next you should soak your hands and nails for approximately five minutes. Soaking your hands softens your cuticles and moistens your hands allowing for effective exfoliation. 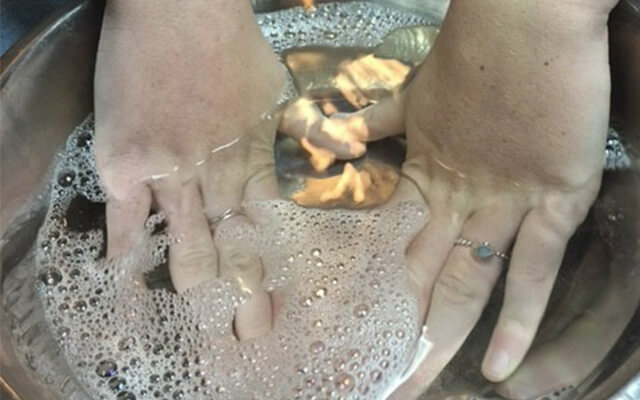 Once you have removed your hands from the water, lightly pat them dry so they remain a bit moist. Now, get your orangewood stick and slowly but gently push your cuticles back (this allows for healthy growth of your nail underneath and prevents the cuticle from growing on your nail). Next, moisten your hands and use whichever exfoliant you have (sugar scrub, body scrub, manicure scrub, they all will work well). I generally work the exfoliant into my hands by rubbing them together, around and in-between my fingers for 2-3 minutes (any longer and it becomes too harsh). Once you have completely rinsed off the scrub, dry your hands and buff your nails gently to remove any ridges you may have. Next, apply cuticle oil or almond oil to your cuticles and massage around the cuticle area and underneath the nail. Finish this section off with application of your favourite moisturiser to your hands. Before you go to applying your polish you need to “squeak” your nails. What I mean by this, is that you need to get a cotton ball or swab with some nail polish remover and rub it over your nails one by one until you hear a “squeak” sound. 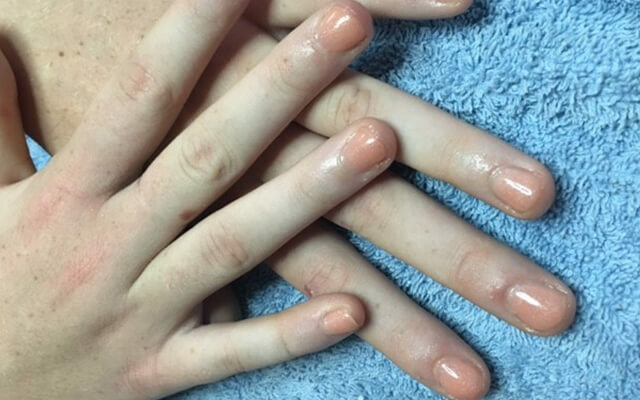 This “squeak” means that all the oils from your hand cream and cuticle oil have been removed from your nails and they are ready for polish application. The first thing you need to apply is your base coat (this protects your nail from discolouration of dark polishes). When the base coat is dry, apply two coats of your preferred polish colour (ensuring you wait for the first coat to dry before applying the second coat). When your two coats of colour are dry, apply your top coat. 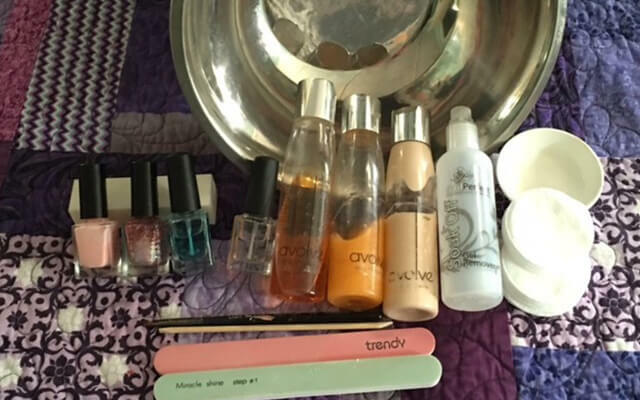 Just as an added bonus, if you do have trouble applying your nail polish and get it on your skin, use your fix-up brush and nail polish remover. To do this, dip your brush into the remover and fix any mistakes that you make. 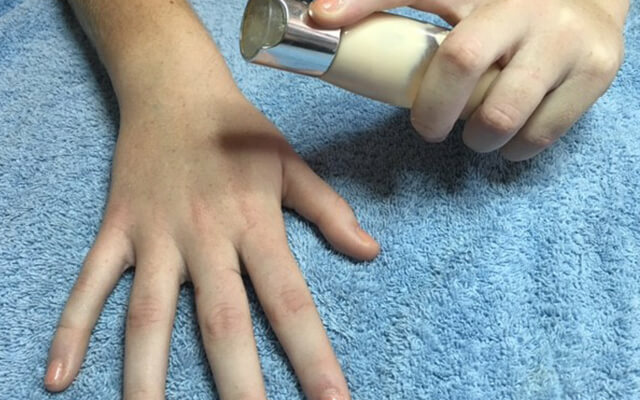 Using this method will help to achieve perfect nails every time. Study online where you want, when you want and get the skills you need to launch your brand new beauty career! Find out more now.